Billy Bob Brown has been farming in the Amarillo area for nearly half a century, and this is the longest dry spell he's ever seen. The region hasn't received measurable rainfall in more than 100 days, according to the National Weather Service, and Brown is worried about the fate of his crops. He already can't grow corn because it's been so dry. More than 40 percent of Texas is now in a moderate to severe drought, according to the latest data from the U.S. Drought Monitor. That's compared to 4 percent on Aug. 29, a few days after Harvey slammed into the South Texas coast. Part of Beaumont, which saw nearly 50 inches of rain when Harvey stalled over southeast Texas as a tropical storm, is now in a moderate drought. And all of the city is considered "abnormally dry," according to the drought monitor. Drought conditions are particularly bad in North Texas and especially in the Panhandle, where all 26 of the region's counties are in a severe to extreme drought and most have burn bans in effect. 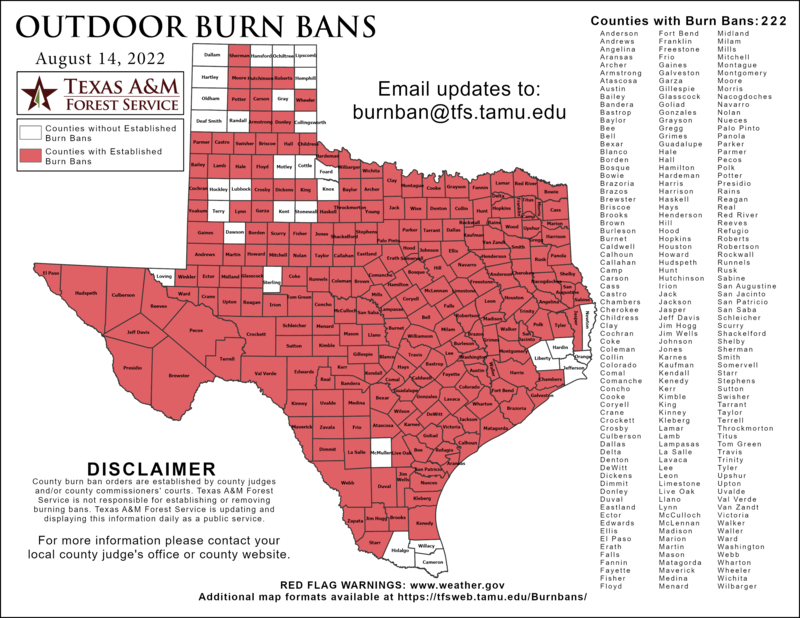 The outdoor fire restrictions don’t stop there, though: They’re in effect in more than one-third of Texas’ 254 counties, according to the Texas A&M Forest Service. While the dry spell poses a big threat to agriculture, Wentzel said he doesn't expect cities to be hit quite as hard. Above-average rainfall in recent years has filled reservoirs that many cities depend on for drinking water, he said. But for farmers in the Panhandle and elsewhere, there's never a good time for a drought. C.E. Williams, general manager of the Panhandle Groundwater Conservation District, said the lack of rainfall makes it almost impossible to grow certain types of crops. Many farmers are having flashbacks to the drought of 2011 — the driest year in state history — and worrying that this one could rival it, he said. "That means we end up with drier stretches in between," Nielsen-Gammon said. And those dry spells will be worse, too, thanks to higher temperatures which bring more evaporation, he added. Wentzel said the state's persistent dryness can also be attributed to the La Niña weather pattern that developed last year in the Pacific Ocean, which brought above-average temperatures and below-average rainfall to North America. Relief may be in sight: The cycle is expected to flip by May and bring rain back to the state, he said. “If the [National Weather Service] is correct on their predictions ... then we should be okay, but if we continue to have hotter and drier than average through the summer, then we would get concerned real fast,” Wentzel said. The drought monitor's latest seasonal outlook says drought is expected to continue to expand in west, central and south Texas over the next few months. 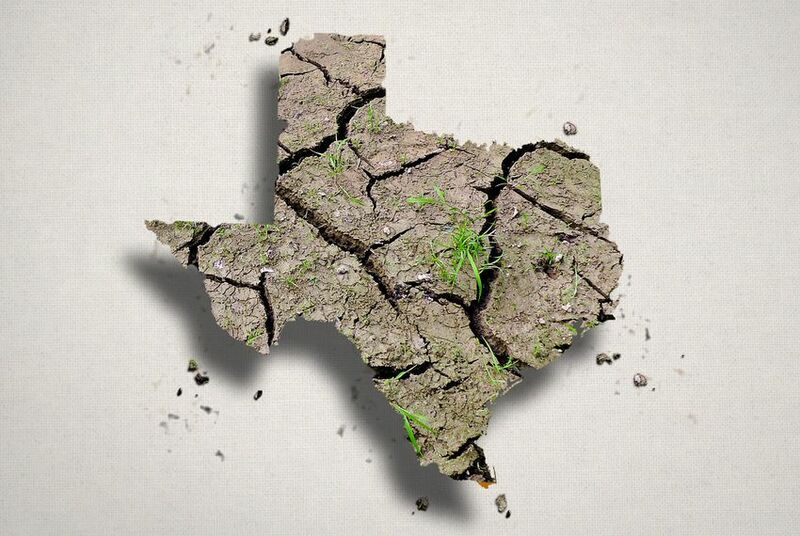 "By the end of April, only parts of north central and east Texas are expected to remain drought free," according to the outlook. For Panhandle farmers, Brown said the rain can’t return soon enough. "If we don’t have moisture, I don’t care how good of a farmer you are — it ain’t gonna happen," he said.